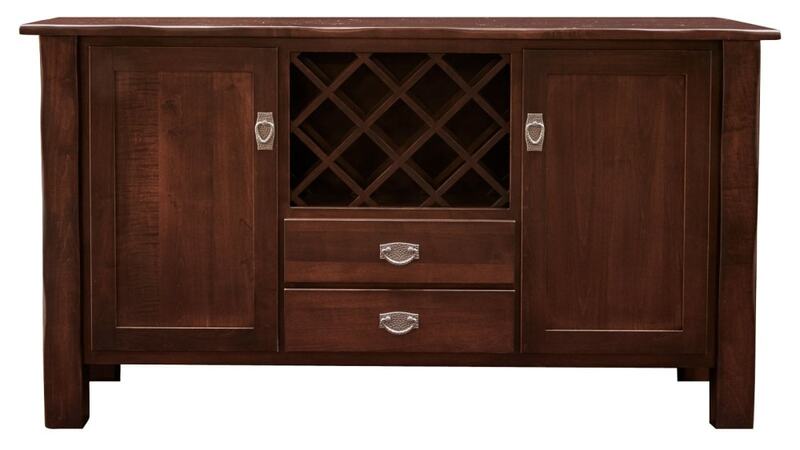 Amish craftsmen built this sideboard out of sustainably-sourced, solid maple wood, harvested from American forests. Thanks to a rich, dark stain, the wood grain highlights are transformed from beautiful io extraordinary. A low V.O.C. catalyzed finish provides a lifetime of beauty. 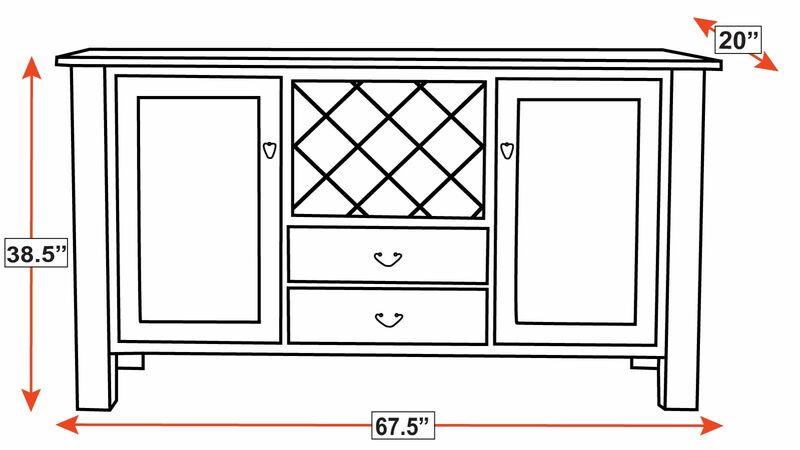 This sideboard also features wine bottle storage, for the sophisticated appeal of keeping part of your wine collection on display. Attractive hardware, crafted to look like antique, hand-hammered bronze handles, completes the stunning visual appeal.